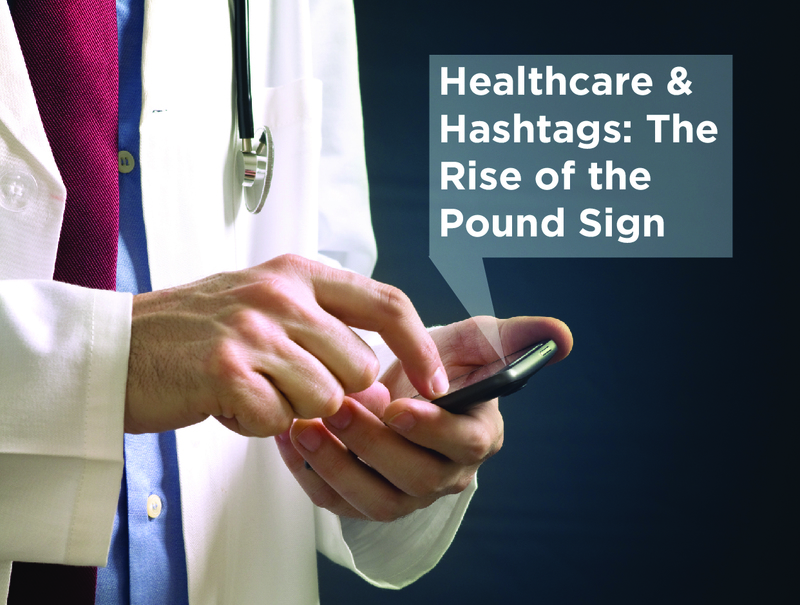 It seems as if the simple use of the pound sign has found its purpose in the cyber world of healthcare. The rise of healthcare hashtags within social media platforms have designed itself to promote awareness and prompt conversations. Today, the health industry is infiltrating the social media atmosphere to support, promote, and increase the spread of information and data. Of course, there is a chance for lack of accuracy in information. That’s why physicians and healthcare providers have turned to social media as a space to broadcast facts and foster conversations on various health topics. To some users, the use of a hashtag expands the horizon of healthcare and medical interactions by creating a sense of togetherness for a cause. Hashtags have become part of the social media nomenclature whether we realize it or not. Statistics show that including a hashtag in a post increases engagement. The hashtag has this power to bring specialists and the average social media user together to learn from one another and to discuss shared interests. The one character space has become the center of our world—a way to chime into a health based conversation without having a medical degree. As a marketing agency, we understand that social media has the power to influence and change behaviors. It is a way to get the right information out to the right audience. The general public turns to searchable hashtags to increase personal awareness and self-educate. A study reports that many parents “are more likely to seek medical answers online” before contacting a physician. The change in the way the public is researching information pushed providers and experts towards social media platforms. They now have an additional responsibility to alter conversations and improve health care perception surrounding certain topics. With a few taps, a couple of swift finger movements and the use of the hashtag, health care authorities, like the World Health and the Centers for Disease Control and Prevention, constantly share new info to the public and connect with other health advocates. Most important, healthcare leaders can control and rectify rumors clouding certain topics. A social trend that comes to mind is the recent Zika outbreak. The healthcare hashtag has become a popular topic on social media platforms. Around 100,000 users gather on social platforms to discuss the Zika Virus, pushing out 50 tweets per minute. Experts are using the platforms to push out updated information to pregnant women and couples. They are creating conversation and addressing public concerns. For the information seekers, the tag allows content to be discovered in the plethora of posts. It is another way to spark conversations, build awareness, and connect with a larger community. We would like to hear from you. Do you use healthcare hashtags to search for information and to connect to a greater medical community?